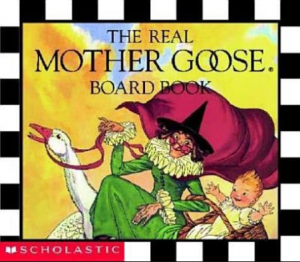 A TMS teacher, passing by the library shelves, spotted the same book of Mother Goose rhymes that she had as a small child. She stopped, took it down gently, and smiled as she turned the pages. “Can I check this out?” she asked, still looking at the book, and still smiling. Here, language can be inverted, predictable adjectives can become unpredictable with the addition of a sly “y” (moisty), and where the youngest children acquire the tools that prepare them a life of reading. 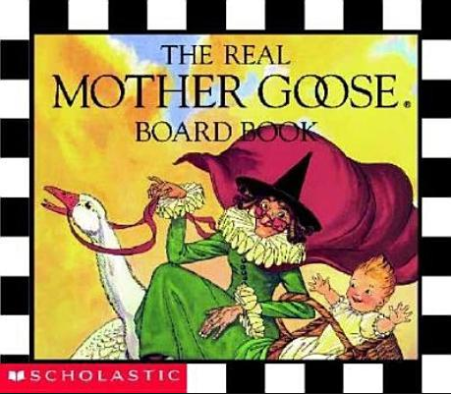 This month’s Scholastic flyers feature a board book version of The Real Mother Goose, illustrated by Blanche Fisher Wright. The richly illustrated, long-lasting pages will stand up to hundreds of readings. 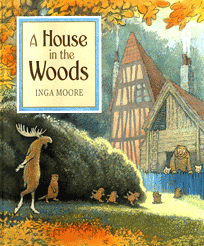 This quote about picture books got us thinking about the illustrators who really take full advantage of their chance to place an “art gallery” in the hands of children, “to be revisited over and over again.” Inga Moore is one such illustrator, often referred to as carrying on the stylistic work of Beatrix Potter. Moore’s illustrations reward lingering and revisiting, and for years she has set a standard for young artists interested in that layered style so beloved by children. Rather than describe A House in the Woods, we wanted to share this treasure with you, the review of the book by the inimitable Nicholas Hoare, late of Nicholas Hoare Books. NHB was one of the world’s greatest bookstores which, sadly, closed at the beginning of this year. 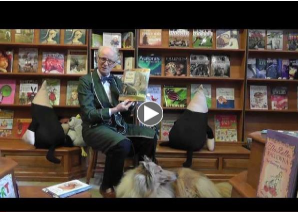 The Canadian bookseller has left us quite a gift, though: many, many video book reviews filmed in his beautiful shop. Here is his review of A House In the Woods.